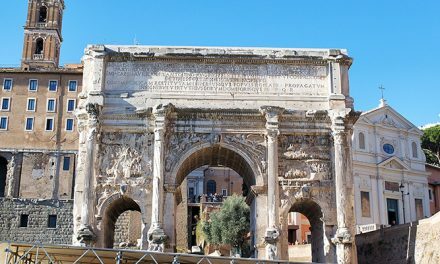 Located at the intersection of “Via dei Fori Imperiali” and “Largo Romolo e Remo” in the archaeological area of the Roman Forum in Rome, Italy, the Basilica Aemilia sits at one of the Forum entrances. 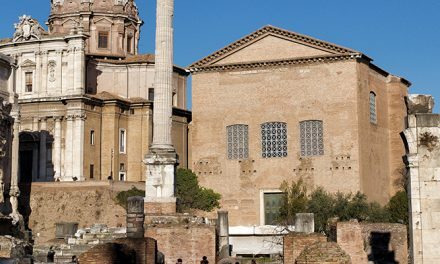 You can easily locate its remains, which are comprised between the Temple of Antoninus and Faustina and the Curia Julia. Today, only the foundations and some rebuilt elements can be seen of this impressive public building that, notwithstanding the severals reconstructions, is still one of the few examples of this kind of buildings from the Republican Age. 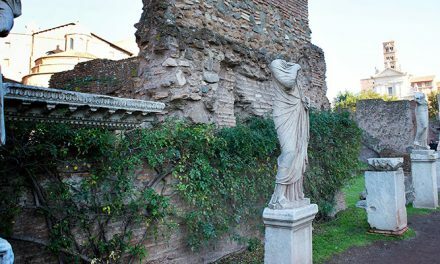 When was the Basilica Aemilia built? The Basilica Aemilia was first built in 179 BC by the censors Marco Fulvio Nobiliore and Marco Emilio Lepido. This is the reason why the basilica was originally known as “Basilica Fulvia et Aemilia”. 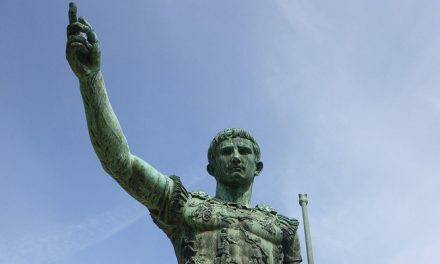 However, in time the building became a sort of monument to celebrate and commemorate the gens Aemilia, and the name of Fulvio was lost. 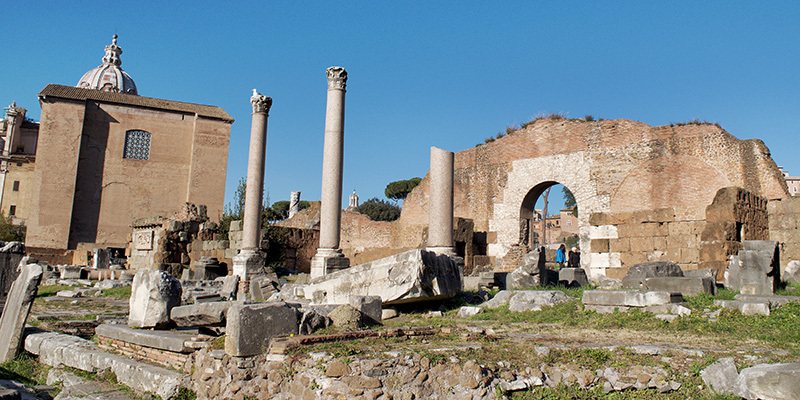 As a public building, the Basilica Aemilia was mainly a place for business and meetings. The portico hosted the so called Tabernae Novae, i.e. New Shops, and a market place, but the building was also used for money lending. Politicians and tax collectors gathered here for their business. The Basilica Aemilia was regarded by Pliny as one of the most beautiful buildings in the Ancient Rome. Destroyed and rebuilt several times until 34 B.C., this luxurious public hall had an imposing architecture, decorated with precious marbles and columns. In 54 BC Marcus Emilio Lepido renovated the Basilica and the works were actually funded by Caesar. At that same time works also began to built the Basilica Julia, which stands just on the opposite side. The foundation of the Basilica belong to the Republican Age and are the only remains of this period. At the time of the Imperial Rome, the Basilica Aemilia was divided into three parts: the portico, the tabernae (or inns) and the main hall. From the area of the Forum there are four stairs leading to the portico. The facade of the portico, which identically resembled the one’s of the Basilica Julia, featured two floors supported by pillars and white-marble columns. The main hall was characterized fourteen arches finely decorated with statues. In 410 AD the Basilica Aemilia was destroyed by the Visigoths during the sack of Rome.